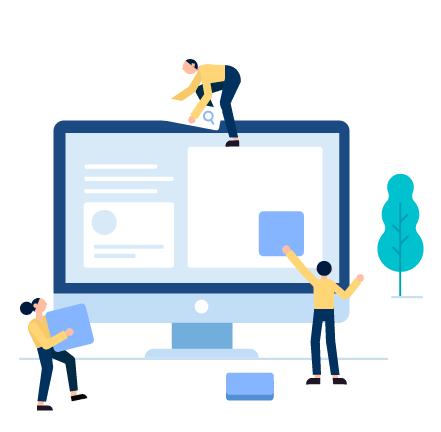 We help startups, entrepreneurs and business owners of small-to-medium sized companies, learn about, engage and integrate outsourcing into their businesses. We offer an unbiased resource and expert-level assessment of outsourcing options in the Philippines. However, we are biased with our view that YOU SHOULD outsource; and that you should consider the Philippines as the place to do it. We believe everyone should outsource. We know that the Philippines is a great choice for a BPO destination. It is one of the founding nations of outsourcing, and has vast depth of skill in the area. We present all options and resources as its only a matter of time until everyone outsources. We think BPO providers are a great way to get into the Outsourcing world, but they aren’t the only option. 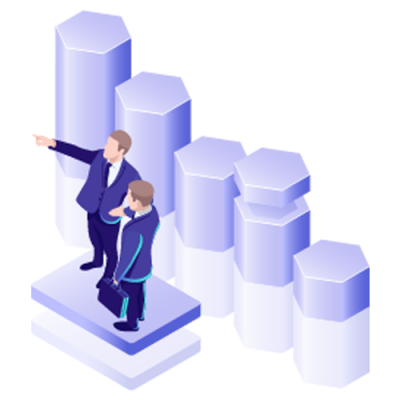 We focus on startups, entrepreneurs and business owners of small-to–medium sized companies. This is typically with an existing employee-count of 2-200 employees. Typically these owners would be based in major Western markets, and feel the pinch of high labour cost. Opening their eyes to all things BPO – incorporation, professional services, contractors and outsource opportunities. Outsourcing has a big “commencement hurdle” for many business owners. Which dramatically reduces the number of people that wants to give it a shot. The two key hurdles are (i) lack of awareness, and (ii) a big ticket cost and commitment. Many prospective clients might not even be aware that they need BPO, or that it even exists. Thus, it can take them a long time to a get comfortable with the concept of outsourcing. A business owner has to face a very costly (high ticket), and a very sticky commitment hurdle. The “sales pitch” of a BPO provider is big. That is a very big jump from “not on radar” to a $120k, 24 month contract. Being aware that there are options is the first step. However, there’ s still a long way to go between knowing of a solution and implementing them. We call this the Implementation Cycle, which involves (i) awareness, (ii) familiarity, and (iii) engagement. This process is extended and hindered because of the high ticket price of outsourcing, and the fact that the suppliers are in a different country, timezone and culture. 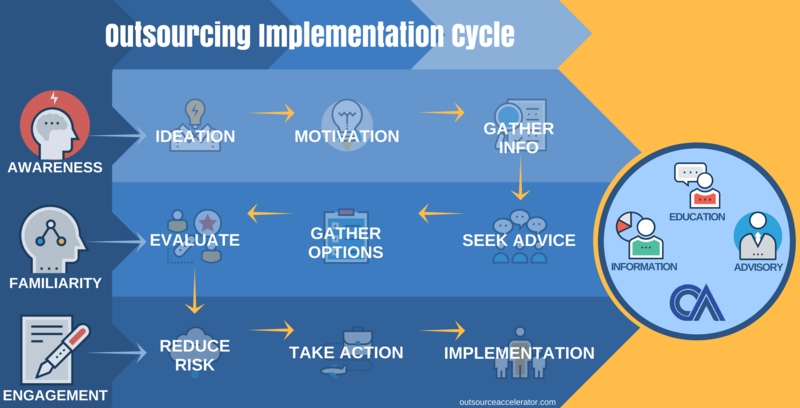 Outsource Accelerator’s abundant free information can help fast-track the awareness, familiarity and implementation stages with outsourcing. 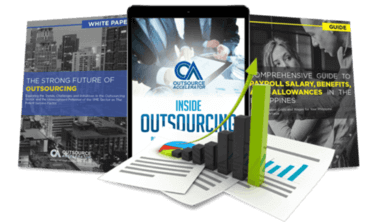 Get up to speed in outsourcing with this all-in-one tool kit. We keep a tight ship. We have most of our experts to thank for the incredible content they’re able to produce. Arnold San Miguel was born and raised in Manila, Philippines. He has worked his entire career in outsourcing across various sectors & management levels; & is also involved in small businesses. Outsource Accelerator draws from a deep pool of locally-based Filipino & foreign experts, entrepreneurs & networks. 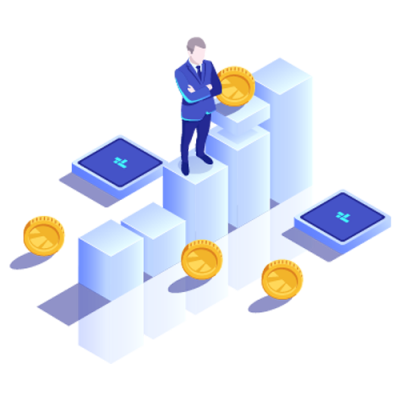 These independent connections bring abundant expertise to the table, for your benefit, as required. We keep a tight ship. We have most for our experts to thank for the incredible content they’re able to produce.